Learn how to make lip balm with this project. The recipe includes moisturizing and soothing oils such as jojoba oil, castor oil, and coconut oil. Natural colored lip balm tubes and caps are the lip balm packaging included in this kit. Customers will love the natural flavor from the grapefruit essential oil. You Save $12.97 by purchasing this kit rather than buying the items separately. COMMENTS: Easy to make and great ingredients. I Love the light grapefruit fragrance. Will buy again!! 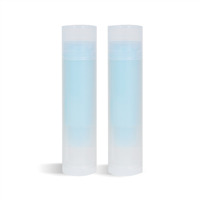 COMMENTS: The lip balm recipe was easy to follow and produced a lip balm that is very effective. I live in a very dry climate, and I found the balm to be moisturizing and long lasting. My only complaint is that I did not receive pink caps for the lip balm; they are clear. WSP Response: We currently only carry the natural caps and although it is listed in the ingredients list as a natural cap we understand that the photo is somewhat misleading. We are working to update all of our photos with the correct product coloring. Thank you for your patience while we update our site and we're so happy to hear you like your final product! • Received clear, not pink, cap. COMMENTS: Although this was my first time truly making lip balm, I wasn't impressed. The kit came well packaged, and everything organized as always, I love WSP! I couldn't get the grapefruit scent to come through in my lip balms. I will say that the amount of ingredients sent with the kit was great because I could actually make more than the recipe stated which was fun. I give 5 stars, but I personally wouldn't buy this again. I think I'm looking for a more fun scent or flavor. The finished product was nice, didn't feel greasy and went on super smoothly. Thanks! COMMENTS: Fresh Scent, Silky Smooth Feel. A great value for the price point. You get a lot in one place rather than buying separately. I use these for Breast Cancer Fundraising. The Pink Lids are a nice touch for that reason as well. I sell them near the walks and/or races and with added sunscreen it's an absolute HIT!! I definitely think you will love this set! "Instead of castor oil in this lip balm, would Abyssinian oil work as a substitute?" Staff Answer This is something you will need to test as we do not carry this product so we cannot say how it will work in this formula. "After making this I was unable to remove the traces of wax from a glass bowl and a spoon. Any suggestions for removing the residue? Thank you!" Staff Answer Try to heat your bowl slightly to make the wax liquid and then wipe the residue away with a paper towel. When wiping the bowl wear a glove and be very, very careful as the wax will be hot. "I made this lip balm and love it. However, we live in Arizona and my husband says it is getting too hot and melty in his pocket. He rides his bike 8 miles to and from work each day. What ingredient can I up to make a firmer balm? Thanks." Staff Answer To make a firmer lip balm, you would need to increase the amount of wax in the recipe. We recommend bumping the beeswax up to 0.50 oz. to start. 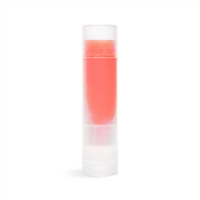 You don't want to add too much because the lip balm will be too waxy and won't glide over the lips. 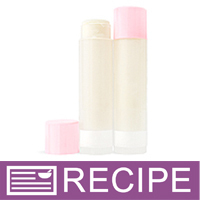 "I made this fantastic lip balm last weekend and it is a hit with my friends. I have been asked and don't know how to answer....if I followed your recipe...what is the SPF value? Thanks!" Staff Answer We do not provide SPF values for any of our products or recipes. 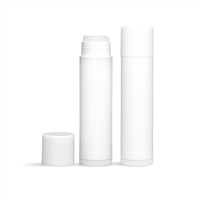 SPF and sunblock values require extensive testing by the FDA to be approved for retail. If you make any claims regarding sunscreen, sun block or SPF without proper testing you could be held liable for making false/unproven claims. 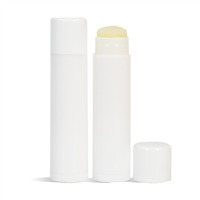 "I will be brand new to making lip balm and am interested in buying this kit. Is this everything I would need? I read somewhere about a tray to hold them???? I assume this means while you are pouring them?? any insight would be great. Also, I am looking into stickers to label the tubes. How tall are the tubes please? Thanks!" "Can I substitute the jojoba oil with grapeseed oil when making this recipe?" Staff Answer Using the jojoba oil instead of the grape seed oil should make a very nice lip balm. I would substitute them 1:1, test a small amount and make sure you have enough glide. That would be a wonderful substitution as jojoba is a very luxurious oil.